Seriously guys. 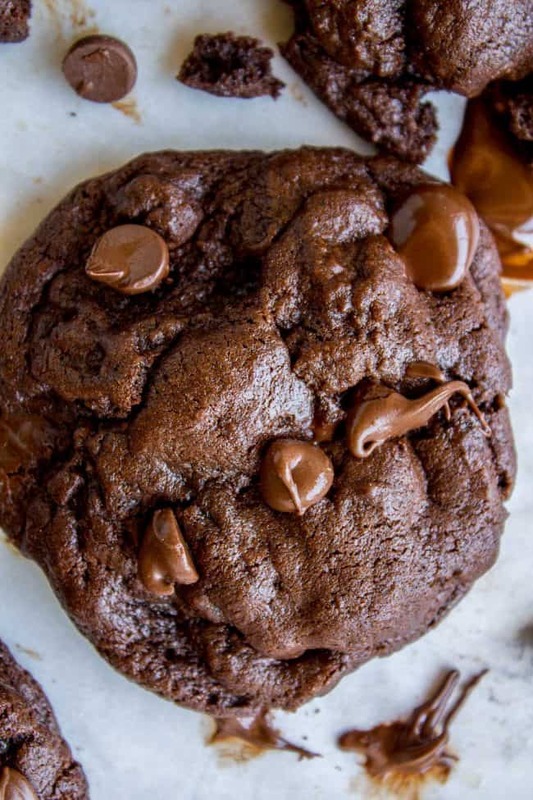 You will never need another double chocolate chip cookie recipe! This one is SO thick and fudgy, and basically what chocolate lover dreams are made of. It’s beyond soft, and so moist it puts some bakery cookies I’ve had to shame. So who else is up way past their bedtime watching the lamest possible movies on Netflix? That’s me right now. They have entire categories tailored just for me: “Movies from the 90s” and “Because you watched Mean Girls” and “Made for TV Movies.” << I SWEAR I’ve never watched any in that last category, but somehow Netflix just knows that I am a sucker for poorly acted, completely predictable movies. Extra points if it takes place at Christmas. (Side note: I have over 600 posts on the blog. Sometimes I can remember that I told a story and want to find it, but can’t remember what recipe post it’s on. Luckily “charlatan” isn’t a very common search term, so if I can remember a few key phrases from the story and add “charlatan” at the end it usually comes up. I’m not gonna lie, it takes some real commitment to get through one of these cookies in one sitting. 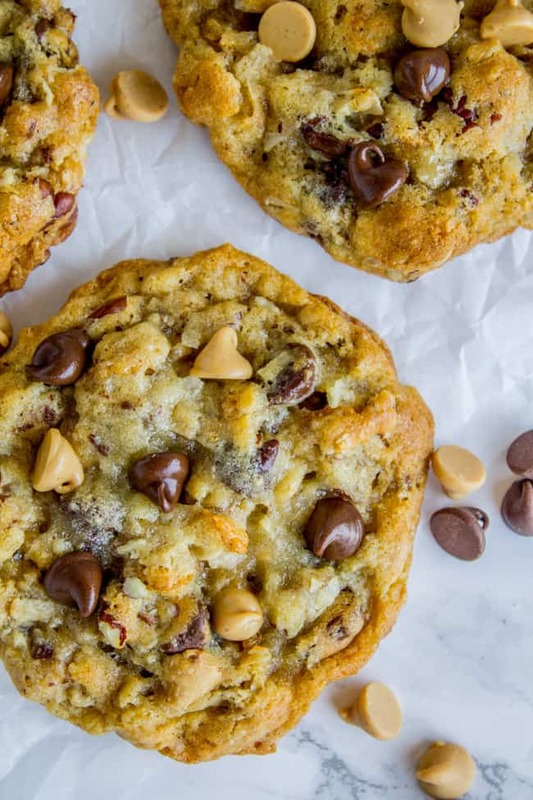 Not only is there 1/4 cup of dough in each cookie, but they are just so RICH. The level of chocolate in these cookies is insane. 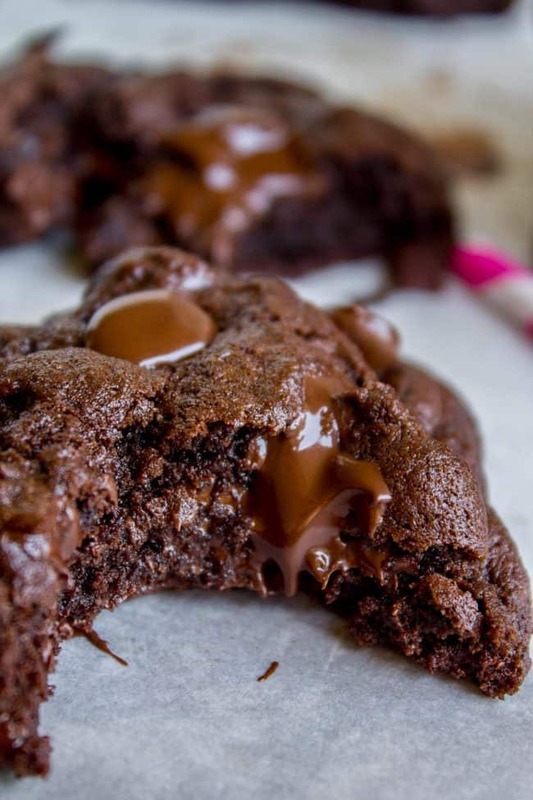 There is melted dark chocolate in the dough. There is 1 CUP of cocoa powder. And there are chocolate chips: semi-sweet, dark, or a mixture of both (I chose that last one). This choice depends on how sweet you like your cookies. Now, OF COURSE the recipe is going to be a little fussy. 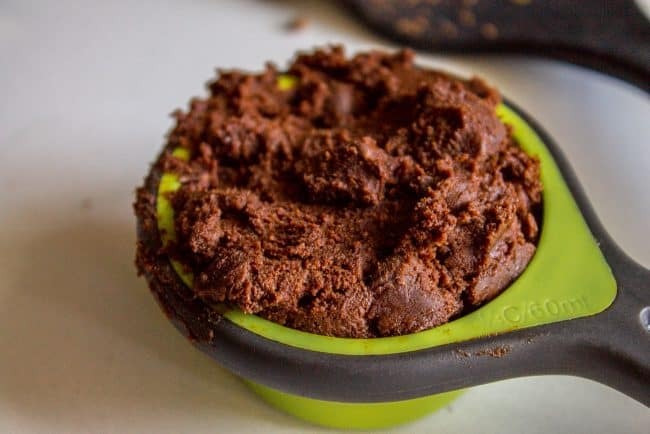 I didn’t call these “Quick and Easy Double Chocolate Cookies.” They are BAKERY style, and the fuss is what takes them from (shoulder shrug) good to (emoji eyebrows) NEXT LEVEL. This means that we’re going to use real melted dark chocolate in the dough, we’re going to freeze/refrigerate them so they are completely chilled, and we are going to make them so huge that you won’t even be able to finish one without breathing deeply or chugging milk. You may as well pay yourself $4 for every one of these cookies you eat, because that’s what you would pay in a bakery. That being said, they’re really easy to make. There are no hard to find ingredients, and it’s not like there are any special techniques. Unless you consider patience a special technique. Which, I might actually agree with. One year ago: The Easiest Carmelitas Ever! Four Years Ago: Butterscotch Pudding with Roasted Banana Whipped Cream << I still come back to this recipe, again and again. The search is over guys! 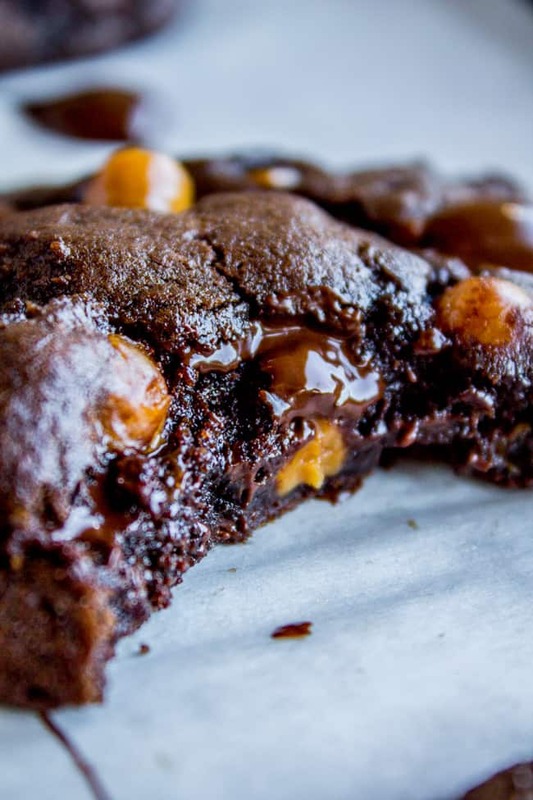 You will never need another double chocolate chip cookie recipe. This one is SO thick and fudgy and basically what chocolate lover dreams are made of. 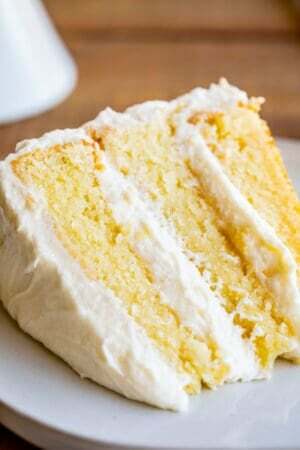 It's beyond soft and so moist it puts some bakery cookies to shame. In a large bowl or stand mixer, beat the butter until light and fluffy, 2 minutes or so, scraping the edges. Add the white and brown sugar and beat 1 more minute, scraping bottom and sides. 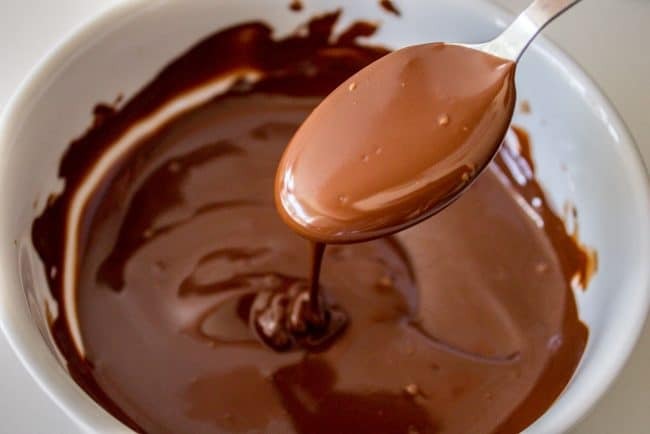 Add 2/3 cup (4 oz) dark chocolate (chop it with a knife if you aren't using chips) to a small bowl. Microwave in 20-30 second increments until it is getting smooth but there are still some lumps. Let it sit for 1 minute, then stir until it is completely smooth. 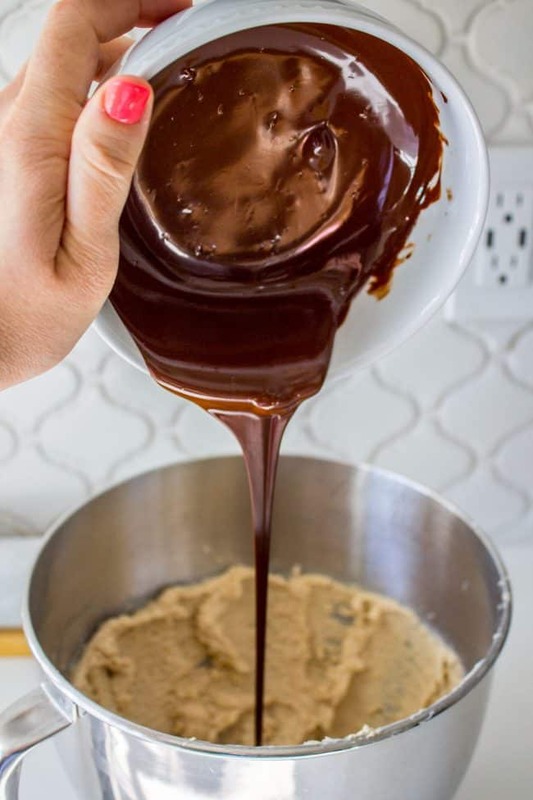 (See photos) Beat the chocolate into the dough. Add eggs and vanilla and beat well, scraping the edges and bottom of the bowl. Add the flour, cocoa, baking soda and salt. Stir the dry ingredients together a bit with a small spoon so you don't end up with any lumps of salt or soda in your cookies. Then beat the dry ingredients into the dough. Beat in the chocolate chips and mix until the dry ingredients are completely incorporated. Don't over mix! Stop the mixer as soon as it all comes together. At this point you need to chill the dough. It's too sticky to handle right now, plus it has to be completely cold when it goes in the oven. Method 1: Cover the mixing bowl and stick it in the fridge. Wait 2-3 hours until completely chilled, then let it sit out on the counter until it is soft enough to shape into balls, then proceed with Step 10. To shape the dough into cookies, use a 1/4 cup measuring cup. I really like these flexible measuring cups. Pack the dough into a quarter cup, then turn out and use your hands to shape them into a "tall" cookies. They should be taller than they are wide. See photos. Once you have completely cold shaped cookies, place them on a baking sheet lined with parchment paper or a silicone baking mat. You can put 8 cookies on each pan. Make sure there are at least 2 inches in between each cookie. Bake for 10-11 minutes. DO NOT over bake. They should still look pretty soft in the middle when you take them out, but shouldn't be shiny anymore. 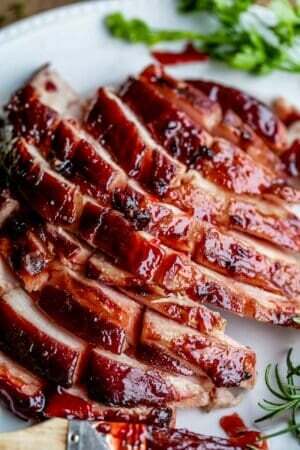 Let cool on the pan for 5-10 minutes. Use a spatula to transfer to a cooling rack. Eat one now. With a tall glass of milk. When they are cool, store the rest in a large tupperware or ziplock bag. They will keep on the counter for 2-3 days. I adapted this recipe from Allrecipes.com. 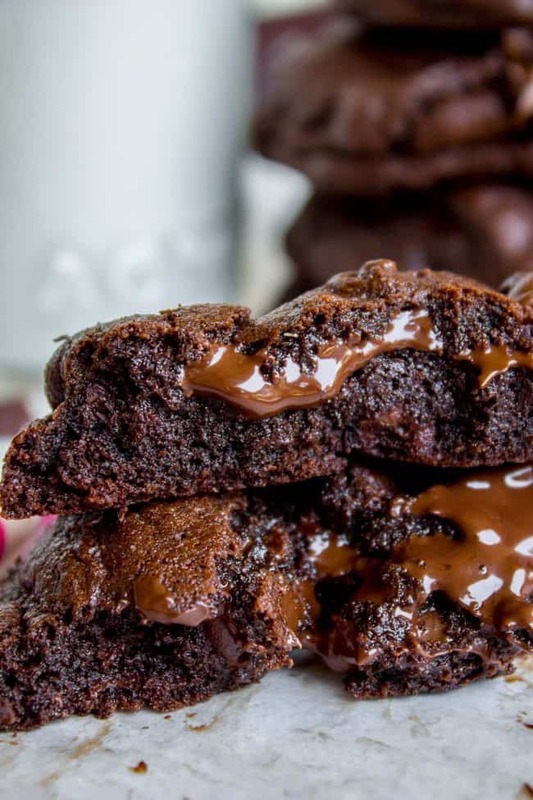 The idea of adding chocolate to the dough is from Just So Tasty. 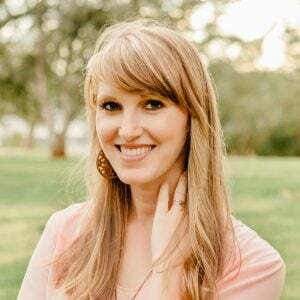 Go check out her blog! It is awesome! She has tons of chocolate cookie recipes. Texas Cowboy Cookies << one of the most popular recipes on The Food Charlatan! 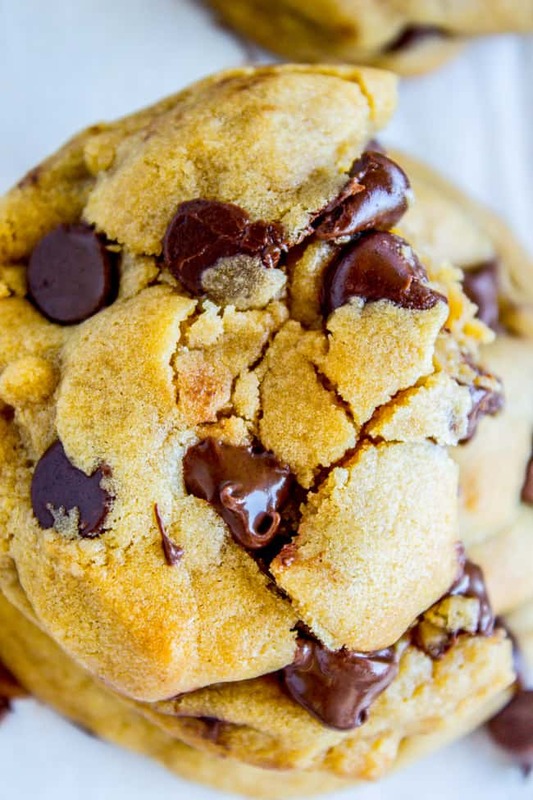 Brown Butter Chocolate Chip Cookies << this is my fav. The cookies are so good, although they tend to get stale quickly. They are best fresh out of the oven, within 24 hours. I think these are the best cookies ever! SO fudgy, and with not a lot of gluten either. Thanks Julia! I’m glad you liked them! I agree, these cookies are best on day 1. I like to freeze the leftover cookie dough that I’m not using right away. You can bake it straight from frozen! hi Tia! Usually you can freeze cookies for up to 3 weeks if they are well sealed. I made these for a meeting and they were a hit! I made them a bit smaller than suggested and they worked out great. I absolutely loved these. Although they were too much work for me and I found myself savouring the last cookie because I know I’ll never make it again. But mine only came out good cookie shaped if I placed circular portions in the oven. The ‘taller rather than wider’ shape made it into a mountain😂. They were still tasty tho. Never again!! So sad! I’m glad you enjoyed them while the lasted ;) Thanks Urvi! These are the best! I won the family cookie baking contest! YES!! Congrats. 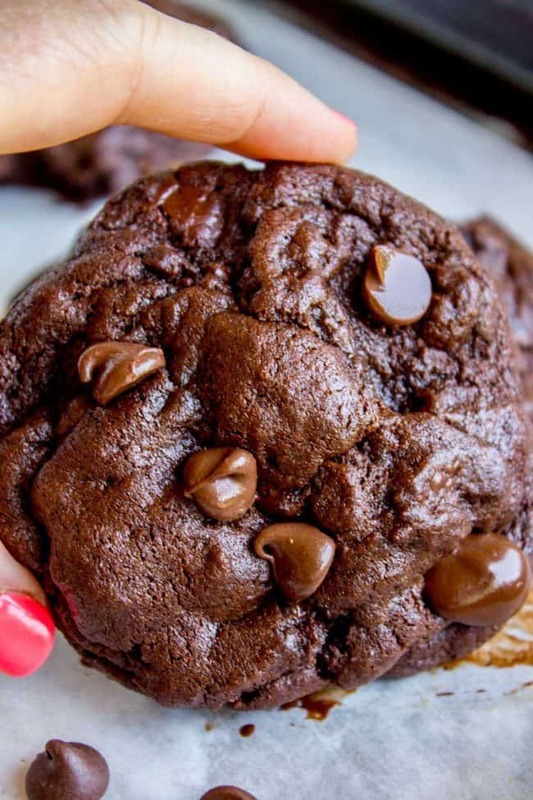 It’s hard to beat a double chocolate cookie!! Hi there! How long can you refrigerate the dough before using? Say if you were to make the dough ahead of time if you’re baking a lot of cookies. Thanks! Hey Jen! I’d say you can keep the dough in the fridge well covered for up to 3 days. You can freeze the dough too! 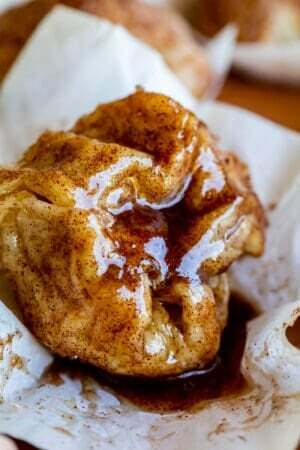 I tried this recipe but the sugar didn’t completely dissolve and I could taste the granules in every bit – what am I doing wrong? Hi Divya! I’m not sure what happened, the butter should be creamed with the sugar. Try beating the butter and sugar for 3-4 minutes next time to make sure it’s incorporated! Ahh, I am not a big cookie or chocolate fan but I made for my grandson who is wild about chocolate anything. Of course I tasted these gems and these are what dreams are made of. I will make these again for all my chocolate lovers. Perfect. Thank you. 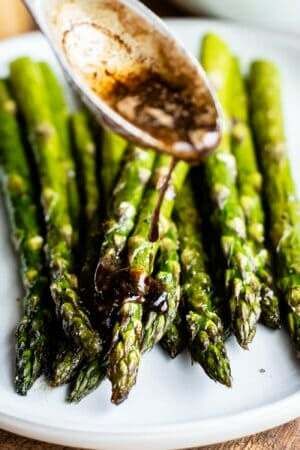 This recipe looks really good and I’m not cited to try it! I was wondering if you could tell me what kind of chocolate chips you use? Thanks! 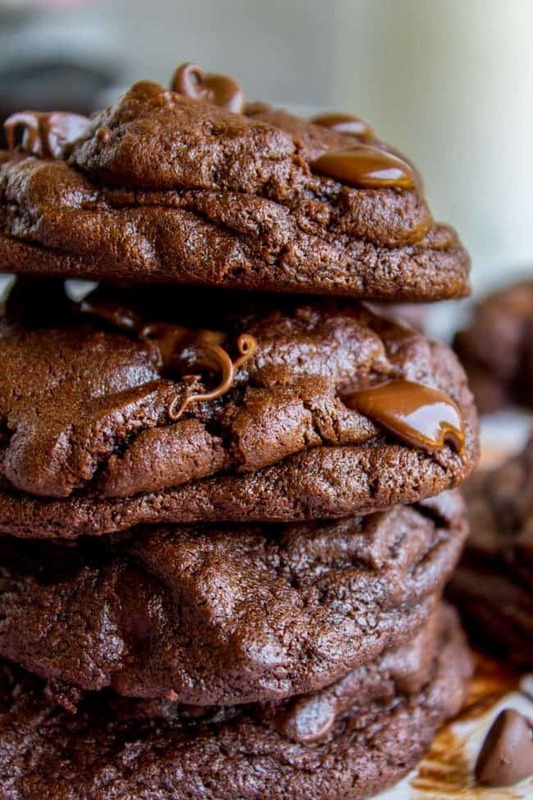 these are the best double chocolate cookies – I usually make 1/2 and freeze 1/2 batch for later. soooo good. dough is good too. I do the same thing! I shape the dough and then freeze in ziplocks, then bake straight from frozen. It’s a very dangerous thing to always be 15 minutes away from freshly baked cookies, but what can I say, I like to live on the edge ;) I’m so glad you like the recipe, thanks for commenting! We tried this recipe and it was one of the best cookies we’ve ever made! Just what you need when you really want to indulge yourself! That is awesome to hear Jenna!! I love these cookies so much, I’m so glad you do too! Sooo chocolatey, and yes, indulgent is the perfect word :) Thanks for commenting!! Your cookies looks delicious.. any advise to make it crunchy? I love crunchy cookies..
Hey Lin! This recipe as written makes for a pretty soft cookie. I would actually find a different recipe! These are every bit as delicious as they sound, and they stayed fresh for a few days too, but they only last about 2 days or so. The dough is quite sticky, so I made all of them on 3 sheets, so I could eat the dough off my fingers…I’ll be making these again. Eating the dough off your fingers is one of the best parts of cookie making, right?? :) I’m so happy the cookies turned out for you! Thank you so much for reviewing, it means so much to me as a food blogger! These look amazing! Can they be made smaller? I was thinking of making them for a cookout. Thanks! Hey Julie! Yeah you definitely could make them smaller, just decrease the bake time by a few minutes. Enjoy! I’m willing summer to end in the Valley so that I can turn the oven on and get back to baking. These might be what I make first! They look so good. Hi. Looks awesome but questions: for high altitude? 7000 ft…more flour? Which is what i usually do… Also is that 1/2 cup of white sugar? Just says 1/2 sugar…😜 thanks! Dying to make these!!! Ah sorry about the typo Lesley, thanks for pointing that out! I fixed it, yes it’s a half cup. And honestly I’m not experienced baking at a high altitude, it sounds like you know much more than I do! I’m at the mercy of Google! Let me know if you try it out!! haha oh gosh I stayed up way too late the other night watching The Holiday since it was on TV. Christmas movies in August? Sure, why not!? lol Anyway, these cookies look SO GOOD. Right?? Never the wrong time for Christmas movies. I think I watched that one a few months ago when it was first available. I’m so predictable! haha! Thanks Ashley!